Big new for beauty oil lovers! Marula Facial Oil is now available at all Sephora locations in North America and the full skin and hair care collections are now available on Sephora.com. Haven’t heard of Marula Beauty Oil? I hadn’t either. But I am a BIG fan of argan and jojoba and coconut and olive and castor and so many other oils, so I figured I’d learn more. Specially formulated for the face and neck, premium Marula Oil is a naturally soothing treatment that provides intense hydration, protection, and rejuvenation to reduce the appearance of fine lines and wrinkles for soft, radiant skin. Use it for face, lips, under eyes, cuticles, and any place where you need an instant hydrating boost. It is suitable for all skin types and contains a high content of fatty acids, resulting in fast absorption to leave skin smooth with a matte finish. Clinically proven to contain high levels of antioxidants and omega acids, it can be used alone or as a perfect makeup primer. 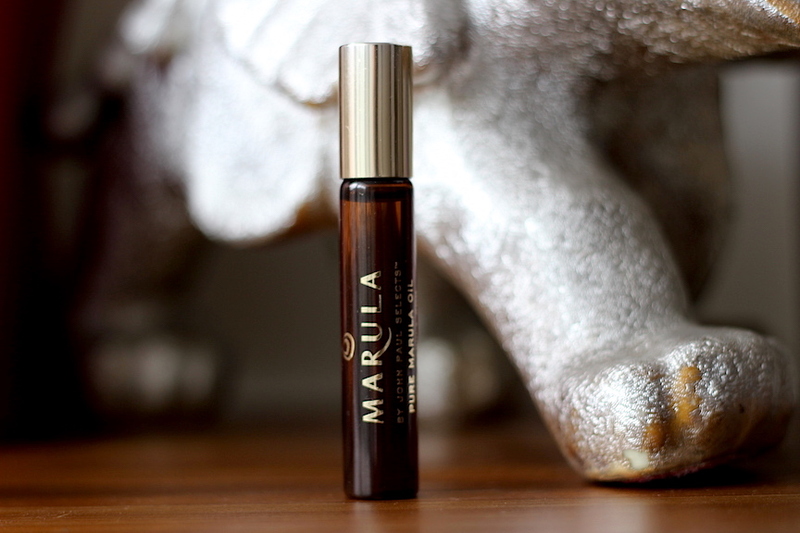 Marula Beauty Oil holds itself to the highest ethical, social and environmental standards. This 100% Pure Marula Oil is virgin, wild harvested, hand-selected and cold-pressed with no added chemicals. Formulated to EWG safety standards, the entire collection is sulfate-, paraben-, phthalate- and synthetic fragrance-free. Filtered on location in Southern Africa and Madagascar, Marula Pure Beauty Oil empowers entire communities for whom the fair trade harvesting of the Marula nut is an economic wonder. 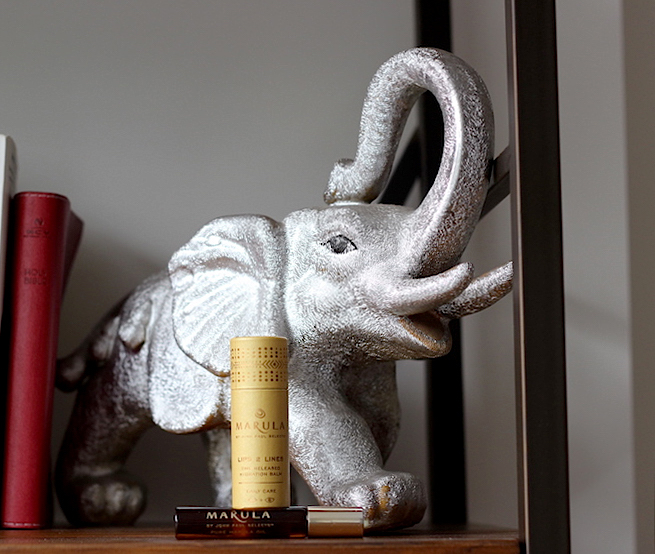 [Marula] provides a fair trade living to thousands of women in Africa … to harvest this rich and wonderful natural resource. Lovin’ the look good, feel good, do good trifecta going on here. I was sent the Pure Face Oil and Lips 2 Lines Time Released Hydration Balm Travel Duo to test. I love me a mini for travel and for touch-ups so the sizes of these two were an instant score upon opening the package. 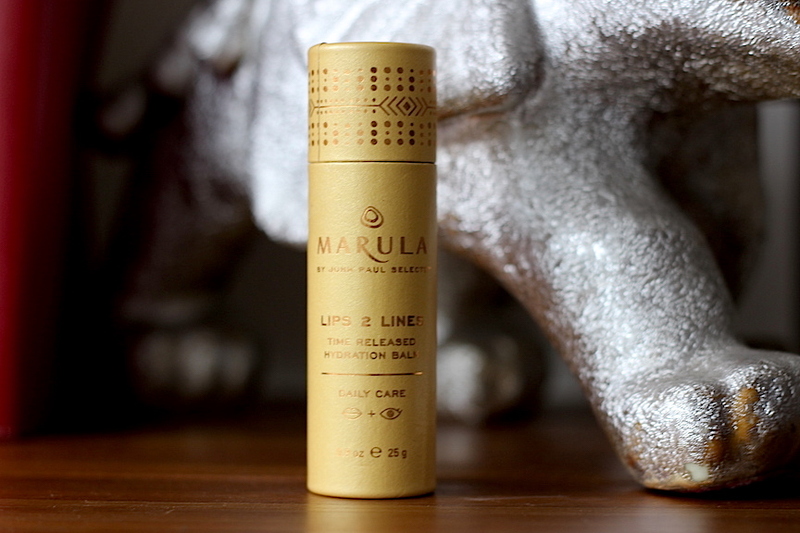 The travel roll-on is exactly what you’d think – a roller ball that dispenses the pure marula oil. True to its brand promise, the oil reduces fine lines instantly and gives great glow to the face. The size of the roller ball also makes it perfect to use as a fresh, dewy (read: non-shimmery) highlighter, straight onto the tops of cheekbones, along browbones and down the bridge of the nose. With Lips 2 Lines, no matter how dry or chapped my lips were before bed, I woke up with a smooth, even texture. And for eyes, it plumps everything out! Which is so nice when you’re not in the mood for uninvited guests (i.e. fine lines and wrinkles) to greet you first thing in the morning. When I first received the duo to review, I didn’t know it would be sold at Sephora and saw it more as an indie, hidden gem. But obviously, and predictably, Sephora’s onto a good thing.